The year that has just ended proved to be an unusually productive one where verdicts by the European Court of Human Rights in Strasbourg on violations of the European Convention on Human Rights in Chechnya were concerned. The Court has now issued more than sixty judgements on “Chechen cases”, and more than half of them were made in 2008. Although most of the decisions involved human rights violations committed during the “counterterrorist operation” in the Chechen Republic (and perhaps precisely because of this), the degree of importance attached to them by the Russian authorities and by society at large is becoming markedly reduced. A significant majority (around thirty) of the judgements are related to cases of forcible disappearance – the most widespread of gross human rights violations in Chechnya. In all of the cases except two, the Court found the Russian authorities guilty of the unlawful detention and forcible disappearance of the applicants’ relatives, whom the Court found to be deceased (something for which the Russian State is also responsible). This quantitative increase has led to such cases being treated as routine: the wording of the Court’s judgements has become more and more standardized, while the reaction to them may be summed up as “yet another disappearance judgement”. It is, however, precisely at a period like this that it is vital to “keep one’s eyes peeled” – the formally standardized judgements often contain extremely important conclusions. In 2008 for the first time judgements were handed down in which the Court considered that Russian servicemen had not been proven to be responsible for killings (“Zubayrayev v. Russia” and “Trapeznikova v. Russia”) and abductions ( “Shaipova and Others v. Russia” and “Tagirova and Others v. Russia”) due to lack of sufficient evidence. At the same time, even killings and abductions committed by unidentified individuals are now to be the object of the effective investigation and punishment of offenders, which in these cases were not carried out, in violation of procedural obligation under Article 2 of the Convention. In another case – “Salatkhanova and Salatkhanov v. Russia” – the Court found that the petitioners had lost the status of victims, as the serviceman responsible for the murder of their son had been identified and sentenced to ten years in prison. This ruling shows that the prosecution of crimes committed by the military in Chechnya is in principle possible. On the other hand, the criminal prosecution of the perpetrators and the restoration of the rights of the victims could, in their turn, hypothetically save the Russian government from numerous convictions at Strasbourg. Judgements on disappearances were not, however, the most important ones for determining the course of justice in Chechnya-related cases. One case, that of “Akhmadov and Others v. Russia”, involved a machine gun attack from a Russian army helicopter on people who were harvesting a field near the village of Komsomolskoye on October 27, 2001. Motivating its decision on the grounds that the use of force violated Article 2 of the Convention, the Court stated that it did not “overlook the fact that an armed conflict, such as that in Chechnya, may entail developments to which State agents are called upon to react without prior preparation.” (para. 97, italics mine, K.K.). This observation, which had no serious influence on the outcome of the case, is nevertheless extremely important: for the first time, the Court used the phrase “armed conflict” in relation to events in Chechnya. In all the previous decisions which assessed the proportionality of the use of force, the Court spoke only of “suppressing an illegal armed insurgency”. Although the question of the nature of the resistance in Chechnya was not discussed in detail by the parties and the Court did not give detailed reasons for the conclusion it reached, the recognition of the existence of armed conflict in Chechnya is essential to a categorization of human rights violations under criminal law. The existence of armed conflict is a prerequisite for the application of legal standards relating to war crimes, which have no statute of limitation. The compensation that is paid to applicants was described fairly accurately by Memorial’s chairman Oleg Orlov as a “tax on lawlessness”. It should be noted that the tax is calculated on a flat rate: 35,000 euros per disappeared person. 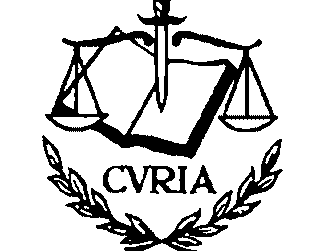 Ever since the judgement in the case of “Kukayev v. Russia”, issued in November 2007, the Court has regularly refused to include in the concept of compensation demands for the conducting of new investigations and the punishment of offenders, on the grounds that the respondent State has the freedom to choose its own measures to remedy violations of the Convention, which it implements under the supervision of the Committee of Ministers of the Council of Europe. In a number of judgements it made in 2008, the Court once again had recourse to this motivation. It is perhaps superfluous to recall that not a single criminal case concerning grave breaches of the Convention has led to the identification and prosecution of those responsible. But in the case of “Umayev v.Russia” Dean Spielman, one of the judges selected from Luxembourg, voted against the refusal of an investigation and expressed a dissenting view which called for the inclusion in the Court’s decision of an indication of the need for the reopening of the investigation. It is possible that this dissenting opinion may lead in future to a change in the Court’s approach to fair compensation. For the present, however, the Court declines the recommendation that the investigation be reopened, or a new one conducted. In the case of “Bersunkayev v. Russia” Russian servicemen were proved to be responsible for the disappearance of the applicant’s son. The Court considered the demand that the Russian government should conduct a fresh investigation, make a public apology to the applicant’s family, locate her son’s body and return it to her for burial. The Inter-American Court of Human Rights routinely includes such requirements in the resolutive part of its judgements. However, the European Court has refused to concede these measures, merely stating that they would not remedy the violation that was suffered. Despite their limited effectiveness in establishing the facts and awarding fair compensation, the importance of the judgements of the European Court of Human Rights in Chechnya-related cases should not be underestimated. Their primary value and importance lie in the fact that they do much to restore the rights of victims in specific cases: the facts are established and are given a legal categorization as violations of the Convention. That in itself is a serious moral compensation. On a more general level, with its decisions the Court writes the history of the Chechen conflict: the final judgement carries such weight that it must be taken for the truth (res judicata pro veritate habetur). Although times have changed, and the methods and opportunities of research are different now, it may be said that the Court’s judgements on human rights violations in the Chechen conflict are a modern version of the Chronicle of Current Events [the Soviet-era samizdat periodical which focused on human rights in the USSR]. Kirill Koroteyev - research fellow, University of Paris 1, legal consultant to EHRAC-Memorial. The picture is borrowed from the website kollektor-b.livejournal.com.